The XLAB Aluminium Torpedo Mini Mount is a multi purpose aerobar mount for hydration, computer (Front mounted) and nutrition. The XLAB Raptor Cage is a high-grip carbon cage with 7 lb of force and a streamlined look. The cage features stiff bottom lip to support large bottles, stiff upper tab to retain bottles in the cage and slots in the back to provide vertical adjustment on the frame. 36g. ideal top tube mounted bag for racing or training to carry energy food and other items. Instant access while riding. Carries all your essential needs including Gels, Energy Bars, Salt or Electrolyte Tablets, Cell Phone, Driving License, and Keys etc. Carbon Fiber cage which mounts between aero bars on XLAB Torpedo Mount. 25g. Mount the Hydroblade Bottle on MTB, fitness, drop or flat bars! Fits on any bike with a 31.8mm diameter handlebar. Easily swap your Hydroblade Bottle between bikes with no tools. No slipping or vibrating - mount is designed with hold-tight rubber grips and anti-vibration Loctite. Adjustable bottle angle to fit all handlebar tilts and configurations. XKV STRAPS for Torpedo Kompact and Torpedo Versa Systems. Telescoping Garmin Computer Mount for Versa Plates. Modify your Torpedo Versa, Torpedo Kompact 125 or 500 to mount more than just Garmin computers and watches! Switch out the mount insert for a Polar, Wahoo, or Universal strap-mounted bike computers such as Cateye or Sigma. 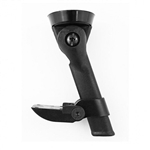 No-bounce, 2-Strap aerobar hydration mount snaps onto extensions with SecureClip Brackets. The Rocket Pocket XL Plus ideal top tube mounted bag for racing or training to carry energy food and other items. Instant access while riding. Carries all your essential needs including Gels, Energy Bars, Salt or Electrolyte Tablets, Cell Phone, Driving License, and Keys etc. High-gripping XENON cages tout an 8 lb grip force (approx) – within the ideal range of rear system grip force for worry-free bottle retention. Seat Mount show but not included. High-performance simplicity. New carbon design leverages the ground breaking, award-winning design of the Torpedo Kompact 100 for an even lighter weight, sleeker and more rough-road durable hydration system. 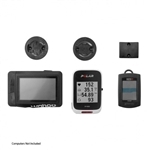 Comes with everything you need – mounting plate, GARMIN-specific computer mount, cage and Cool Shot bottle. Great value aluminum waterbottle cage. Bolts not included. The Vulcan Cage features 6 lb of grip force and a large area bottom hook supports large bottles. Personalize your look with Raptor Talons available in multiple colors. Kit Includes: Super-Sealed TORPEDO Bottle, Straw, Drink Valve, Solid and Split Lids, Leak-Free Breather Valve, Dolphin Tail Straw Retainer and Hardware. Includes: 2 Torpedo Refill Lids (1 Clear Solid and 1 Black Slotted), 2 Straw Plugs, 1 Dolphin Tail Screw, 1 Torpedo Straw / Drink Valve. Spare Bottle for XLAB Torpedo Front Hydration Systems. Durable, aluminum aerodynamic aerobar hydration system with telescoping computer mount. Raise the computer mount up to tuck in a Refill Bottle for race day, or lower it down for a standard bottle to maintain the optimal view for training days. Computer not included. Lightweight, carbon fiber aerodynamic aerobar hydration system with telescoping computer mount. Raise the computer mount up to tuck in a Refill Bottle for race day, or lower it down for a standard bottle to maintain the optimal view for training days. Computer not included. For rapid CO2 inflation. Stored on any Xlab Wing or Bag. Simply screw on an Xlab CO2 Cartridge and push end onto valve stem. Strap set specifically designed for use with an XLAB Super Wing, top strap holds an XLAB Mini Bag or other items securely within the cargo area of a Super Wing, while the bottom strap is used to attach an XLAB Mezzo Bag, Mega Bag, or spare tubular tire underneath the Wing System. Strap set specifically designed for use with an XLAB Carbon Wing, top strap holds an XLAB Mini Bag or other items securely within the cargo area of a Carbon Wing, while the bottom strap is used to attach an XLAB Mezzo Bag, Mega Bag, or spare tubular tire underneath the Wing System. Now you can control the rate of CO2 inflation for the lightest weight possible. The new Speed Chuck S.L. weighs in at only 21 grams! Its designed for super fast inflation while allowing you to stop and continue inflation if needed. An absolute must have for training and competition. Mounting hardware for Carbon Wings, one side only. If you need everything necessary to install a Carbon Wing, please or two sets. Includes: One rail clip, two mounting bolts, two lock washers, two flat washers. 1 side only. The XLAB Stealth Pocket 400XP Stem Bag features four easily accessible exterior pockets end the risk of dropping small vitals when they are needed most. The XLAB Stealth Pocket 200XP Stem Bag features four easily accessible exterior pockets end the risk of dropping small vitals when they are needed most. For "superbikes" with cables in top tubes and with two top tube screw inserts. The Stealth Pocket 400 Carbon is designed for for bikes with internal cable routing or internal hydration. Instead of the bags third strap securing around the steerer tube, all three straps wrap around the top tube. 10.5" (26.7cm) L x 2.3" (5.8cm) H x 1.5" (3.8cm) W approx. Super smooth, low skin friction exterior reduces drag. Aerodynamic, insulated, ideal for storing nutrition, accessories, tools on long rides and races. 8.4in (21.3cm) L x 2.5in (6.4cm) H x 1.5in (3.8cm) W.
Features reflective, matte silver finish keeps liquid temperature down. The Gorilla XT Carbon Cage provides twice the grip of the Gorilla Cage. Its features include: tall gripping sides & Stiff top lip, a flared entry for fast insertion and a thick shelf for large bottles. 49g. This tough bag can store a 700c x 22mm tubular, or a couple of tubes, and fits under the Xlab Carbon Wing, Super Wing, Carbon Sonic Wing, Sonic Wing. Has long velcro straps. Includes 1 XLAB Torpedo 50 + 1 XLAB Stealth 100 Stem Bag + 1 XLAB Nanoflator. 10 Tools. Everything needed for essential adjustments. Fits all XLAB fasteners. 99 grams. Small to fit into any XLABrepair storage gear. Neoprene bottle & straw cover keeping your Torpedo System 25% cooler. Torpedo system not included. The Stealth Pocket 400 is designed for for bikes with internal cable routing or internal hydration. Instead of the bags third strap securing around the steerer tube, all three straps wrap around the top tube. 10.5" (26.7cm) L x 2.3" (5.8cm) H x 1.5" (3.8cm) W approx. For Cervelo P5 and Trek Speed Concept. Mount behind stem on integrated top tube bolt bosses. 10 (25.4cm) L x 1.9 (4.83cm) H x 1.6 (4.1cm) W.
For Cervelo P5 and Trek Speed Concept. Mount behind stem on integrated top tube bolt bosses. 8.4 (21.3cm) L x 2.5 (6.4cm) H x 1.5 (3.8cm) W.
Pair your original CO2 Holder with a second one and carry up to 4 CO2 cartridges. For use with Multi Strike System. Pair your original Multi-Holder with a second one for more carrying options. Carry a tube & pump, tire & pump, tire & inflating foam sealant. For use with Multi Strike System. Strap set specifically designed for use with the XLAB Multi-Strike Repair Holder. Typical use is to hold 1x tubular tire. For Torpedo Systems 100 & 400. Split Top Refillable Cap. Replacement straps for installing an XLAB Torpedo Mount to your aero bars. Includes: Four hook-and-loop straps with bar grippers. Straps for attaching spare tires, tubes, bags, and other accessories to your XLAB Sonic or Turbo Wing. Includes: Two hook-and-loop straps with eyelets. An excellent way to hold your Xlab CO2 cartridges and Xlab Nanoflator or Speed Chuck. 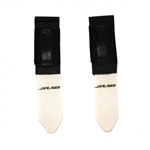 Attaches to Xlab Carbon Wing, Super Wing and Flat Wing systems. Makes inflating tires a snap during training rides or out on the race course. Holds up to two Xlab CO2 cartridges. Made in the USA. Color Black. Mounting Hardware included. Replacement saddle clips and fasteners for Super Wing and Mini Wing Systems. This tough bag, also know as the Tire Bag, can store a 700c x 22mm tubular, or a couple of tubes, and fits under the Xlab Carbon Wing, Super Wing, Carbon Sonic Wing, Sonic Wing. Has long velcro straps. An excellent way to hold your Xlab CO2 cartridges and Xlab Nanoflator or Speed Chuck. Makes inflating tires a snap during training rides or out on the race course. Holds up to two Xlab CO2 cartridges. Made in the USA. Color Silver. Mounting Hardware and Assembly Instructions included. Finally you can carry all your small parts on your Xlab Wing. Bag can carry 2 CO2 cylinders, nanoflator, pair of tire levers, patch kit, and Park mini tool kit. Could alternatively hold cell phone, cash, keys, etc., or tube, levers, and CO2 cylinders. Tough Cordura 500 denier. Contents not included. The Gorilla helps prevent bottles ejecting from cages on bumpy roads, mountain bikes and saddle-mounted water bottle carriers. The cage has over 2X the gripping force of conventional carbon cages due to the 6 high shouldered carbon gripping fingers, tall retention tab at the top and thicker carbon. The Gorilla cage will fit on any standard cage mounts. 38g. Specifically designed to attach XLAB Delta to Fizik saddles with carbon rails. Includes: One adapter. Nylon Replacement Cage as found on the Torpedo 100 system. Comes with 2 Bottle Cage Bolts. Spacer hardware for Sonic Wings and Turbo Wings. Includes: Two spacers, four bolts with thread locker and four flat washers. Solid Clear Lid for the XLAB Torpedo System 100 & 400. Full hardware replacement Kit for the Sonic & Carbon Sonic Wings. Torpedo Bottle Straw Plugs for the XLAB Torpedo Bottle. Comes as a set of 2. For Torpedo Systems 100 & 400. Replacement Dolphin tail with M4x20 Screw. Mounting hardware for attaching bottle cages to XLAB Wing Systems. Full set, enough for two cages. 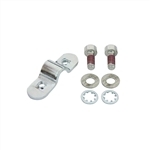 Includes: Four mounting bolts with thread locker. Special hardware for installing XLAB Wing systems on saddles with carbon rails. Includes: Four bolts, 8 washers. For Torpedo Systems 100 & 400. 11" Hose With Bite Valve. For Torpedo Systems 100 & 400. .25" & .6" Spacers & All Necessary Hardware. Aerodynamic, insulated, ideal for storing nutrition, accessories, tools on long rides and races. 8.4in (21.3cm) L x 2.5in (6.4cm) H x 1.5in (3.8cm) W.
Fastest bottle access cage. Also great for small frames 40 degree cutoff side, enables. Comes in left or right access. 34g. Spare Bottle for the XLAB Aero TT System. Saves up to 20 seconds off 40km TT/Tri with 25% Less Drag than round bottles. Saves up to 20 seconds off 40km TT/Tri with 25% Less Drag than round bottles. Special XLAB Hi-Grip Deep Pocket cage.